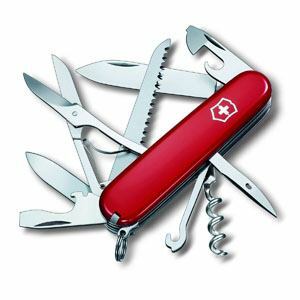 If you are looking for the best Swiss army knife, it turns out that you have some great options to choose from. 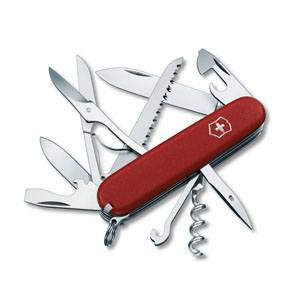 The iconic Swiss Army Knife may be Victorinox’s crowning achievement. Sleek, versatile, and portable, these knives ensure you always have the right tools on hand to tackle any curveball life’s adventures might throw your way. 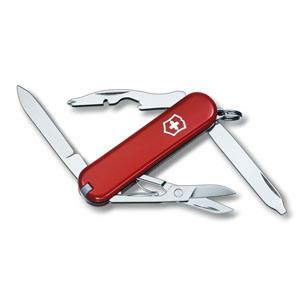 They are made of high-grade Swiss steel and come with a lifetime warranty. So you will not have to worry about mechanism failures or poor cutting edges again. The only problem is that there are tons of options to choose from, which makes it confusing. 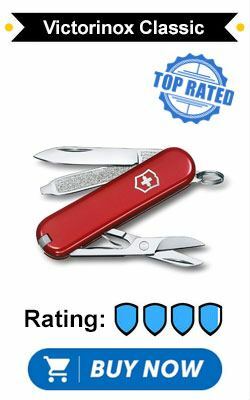 That's why I set out to find the top 10 Swiss army knives based on popularity, performance, and price. I compiled the list to make it easier for you to check them out and make the choice that is perfect for you. Read on to discover the winners that made the cut so that you can find one that is a great fit. If you are looking for more of a classic knife, check out some great pocket knives. 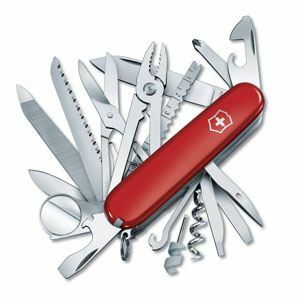 This is easily the most recognizable knife that Victorinox makes. With its low profile and mass, it is ideal for everyday use. Built into the body are a pair of tweezers, plastic pick, screwdriver/file combo, scissors, and 1.25-inch razor sharp blade. It comes in the classic polished red, but can also be had in over 40 other colors and designs. 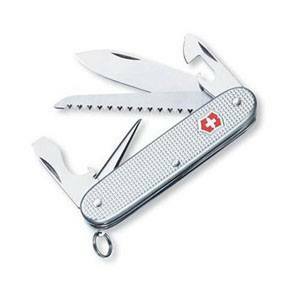 This is the most popular Victorinox Swiss army knife. Weighing less than three-quarters of an ounce, it is the perfect addition to your keychain or wallet so it is always available at a moment’s notice. 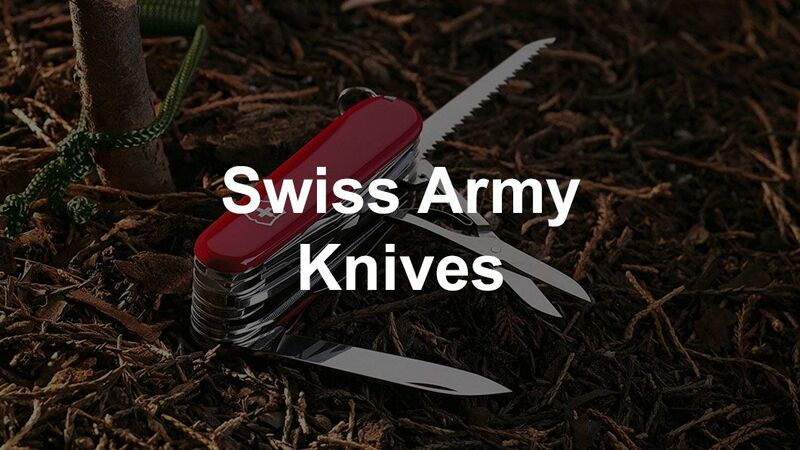 If you are just looking for a simple swiss army pocket knife​, then this is your pick. The Huntsman II is a four-layered multitool that is ideal for backwoods and wilderness applications. A notable addition to this knife that sets it apart from the rest of this list is a texturized grip that keeps the body firmly in your hand regardless of weather conditions. In addition to the features of the Classic, the Huntsman II also contains in the top layers a second, smaller blade and a saw. On the reverse side, a reamer, corkscrew, and utility hook are present that lock perpendicular to the handle. The general tool set makes this one the best swiss army knife for edc. 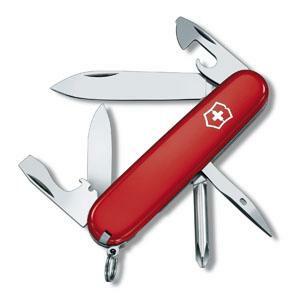 Designed with the handyman in mind, the Tinker is a mid-sized Swiss Army model specifically equipped for repair work. In addition to two blades, can and bottle openers, and the ever-present tweezers and toothpick, the Tinker also incorporates practical repair tools. These include a reamer, wire stripper, two flathead screwdrivers, and, for the first time on this list, a Phillips-head screwdriver. To minimize mass and keep this a sleek keychain addition, the Tinker has forfeited other functions to stay true to the very useful spirit. The Swiss Champ is a six-layered beast of a multitool. It performs 32 functions, has 19 tools contained within it, and comes in a variety of colors and designs. Though there are too many to list here, some of the most notable features that this knife boasts include a pair of steel pliers, magnifying glass, metal and wood saws, and a micro screwdriver for small screws. And at around 6.5 ounces, the 3.58 x 1.3-inch frame of the SwissChamp is just the right size for a pants or backpack pocket without being too cumbersome or noticeable. 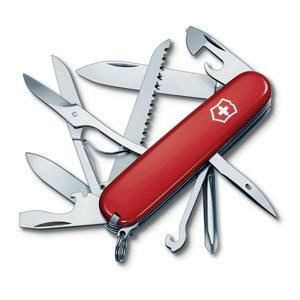 If you are looking for the full spectrum of Swiss army knife tools, then this is your pick. 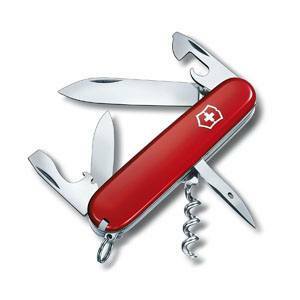 It is by far the best swiss army knife for survival​. The Huntsman is Victorinox’s updated revival of its signature Officer’s knife that skyrocketed the brand to fame in a post-WWII market. It is specialized for outdoor use, with four layers of tools on the front side and two on the back. The two blades and wood saw come in handy setting up camp. The screwdrivers and reamer are perfect for gear repairs on the trail. If you want a great, well-rounded multitool that will have a solution to every problem indoors or out, look no further than the Huntsman. The Rambler is a slim, no-nonsense knife that Victorinox created to find the perfect balance between functionality and size. It has ten functions including a 1.25-inch blade, scissors, and an interesting 3-in-1 tool that is a Phillips screwdriver, bottle opener, and wire stripper combined. It is 2.3 inches long, the same as the Classic, and weighs 1.1 ounces making it perfect for a keychain or clip. The small stature is suited to daily use at home, in the office, or on the go so you can handle any situation you encounter on your rambles. Another compact knife, the Cadet sets itself apart with its unique body design. 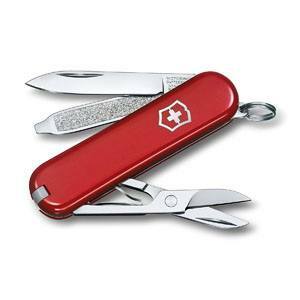 For this model, Victorinox decided to forgo the typical Cellidor scales that the Swiss Army brand is known for and replaced them with studded Alox aluminum. This increases the durability of the body; however, it removes the toothpick and tweezers from the function lineup. To compensate, the blade is larger than what would normally be found in similar options of the Cadet’s dimensions. Other functions include two openers and screwdrivers, as well as a nail file and cleaner. The Fieldmaster is just as adept at domestic chores as it is taming the wilds. It is a versatile and well-rounded multitool that, with four layers, will still fit well on a keychain. Its 15 functions feature two blades, three screwdrivers (Phillips included), two openers, scissors, and a saw. In the rear, a reamer and hook are also attached. 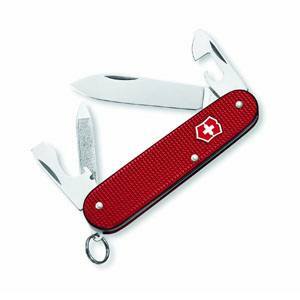 As with all Swiss Army Knives, stainless steel construction and a lifetime warranty can be added to that list. Whether you are working in the backyard or the backwoods, the Fieldmaster is prepared. For those times when your inner warrior needs to shine, the Spartan will be your weapon of choice. Built for reliability in an ever-changing world, this multitool has only the gear that is essential to everyday survival. Within you can find two blades, two openers and screwdrivers, a corkscrew, and a reamer. It weighs 2.1 ounces and, since it has only two front layers, is able to stay slim while delivering a full range of function. Next time you find yourself at one of life’s impasses, reach for the Spartan to get you to the other side. The Farmer carries on the legacy of its predecessor, the Soldier. Like the Cadet, a riveted Alox body is standard so it will function under the most grueling conditions. Its tool list includes a wood saw, large blade, reamer, and the two openers and screwdrivers. The Farmer is unique to this list in that the reamer does not click into place perpendicular to the body, but rather as an extension. The Swiss stainless steel blade also holds a fantastic edge, making it ever ready for your next adventure.